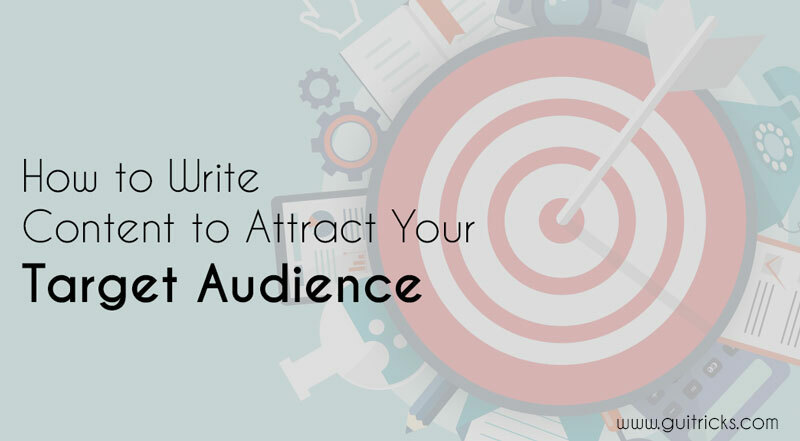 How to Write Content to Attract Your Target Audience | GUI Tricks - In Touch With Tomorrow! 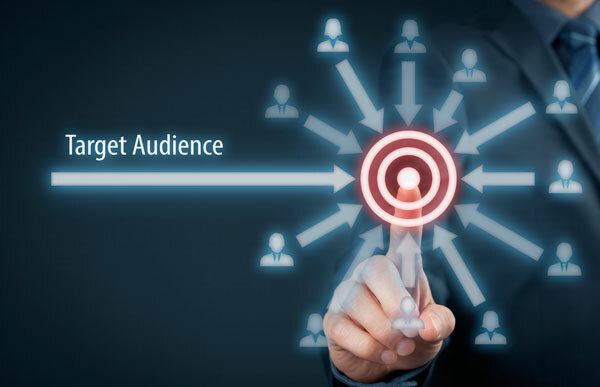 How to Write Content to Attract Your Target Audience - GUI Tricks - In Touch With Tomorrow! Content is king nowadays. Every web page, advertisement, or business takes advantage of content of all types (text, video, graphic, etc.). Now; if you’re thinking that all content is king, you are wrong. A big misconception has been created in today’s marketplace. New website owners believe that quantity content is going to get more results compared to less but more qualitative content. The marketplace already has quantity. Now it’s time for people to come up with quality stuff; it’s the only way to thrive in the current market conditions. Relevant, useful and valuable content is all it takes to create a successful blog and business. Writing the perfect content for your target audience is not an easy task, but far away from impossible. It is just like a skill, which constantly requires upgrades in order to generate more results. Developing this skill takes time, money, and effort. If you’re willing to commit these resources, you’re one step ahead of the game, and you can truly count yourself as a professional. In addition, you need writing practice, habits, and strategies. These will all be hard to get, so don’t expect to acquire them with much ease. When you write, record, or craft some form of content, you’re dedicating it towards a particular audience of readers. Not everyone’s interested in fiction, the same as not everyone’s interested in science, or literature. Depending on your niche market (which could be large), you should focus on a certain range of individuals. These people can be your readers, subscribers, or customers. What could be their biggest motivators? After you’ve asked yourself more questions, and answered each of them, go for the absolute targeting. You’ll have to imagine the “perfect” or the “ideal” customer. You’re building an imaginary person that fits all of the characteristics that a perfect buyer of your products would have. If you can manage to keep that person in mind every time you’re crafting a new piece of content, it’ll be extremely attractive for most of your other possible customers. That is because if you know who they are and what they need, they will immediately appreciate you as an expert in the field. After all, you have figured out their needs! If your content isn’t valuable, it’ll never drive the results you’re expecting it to bring. The thing is, you can write as many articles as you want. If none of them actually brings value to your audience, the business that you’re conducting is going to fail miserably. People don’t really care about activities that aren’t useful to them. Being aware of this fact, you need to channel your focus and efforts into building something impeccable. Give your readers the best experience, and have them say “wow” at the end of the visit. Be sure that they’re going to come back for more later. People don’t just read articles. They skim them first. They take a glance at what your subheadings look like, and they decide in a matter of seconds if it’s worth reading. In order to draw the attention, make a very easy-to-read structure. Take this article as an example; no paragraph is longer than five rows. That makes it easy to read. You know what else makes it easier? Short sentences. Make your reader’s life easier by keeping it simple, and not adding thousands of verbs in a sentence. Whether you order content on custom writing websites or write it personally, you should check out on HemingwayApp – a digital writing tool that helps you see which sentences are hard to read. Did you know that by the end of 2017, video content will be overwhelmingly popular? It is estimated that video content is going to represent 74% of all the internet’s traffic. That’s quite a fact, and it helps us realize what’s coming next. Knowing the upcoming trends, we can already start preparing our business or website. Visual content is not that hard to get. If you don’t have the skills yourself, you should find a freelancer and create a lasting partnership. He should assist you with all that you need, and you can include visual content within your website and social media campaigns. Videos, infographics, presentations, images…these are all visual content. Take advantage of them as much as you can, they’ll be a great investment. When you write for a specific audience, things start to get easier in time. As time passes, you’ll understand more of their needs and wishes. You’ll get to know them better, and you’ll eventually find ways to reach them faster and easier.